Best Kodi Addons 2018: If you are an ardent fan of online streaming, then you must have been acquainted with Kodi. Developed by XBMC, Kodi is an open-source media player which is compatible with various operating systems and hardware platforms. This amazing media player lets the users to directly stream media files from the internet as well as from the local storage media. So what is the basic working procedure of Kodi? How does this multi-platform home-theater PC application stream the media files? Well, the application uses some plug-ins which are known as the Kodi addons which can stream media through various online services such as YouTube, Amazon Prime Instant Video, Pandora Internet Radio, Spotify, Crackle, and Rhapsody. Now when we are talking about the best Kodi Addons 2018, we must discuss on the Kodi add-ons repository. The repositories are the delivery mechanisms or simply the containers for add-ons. A repository may contain one or two add-ons while some repositories may contain hundreds of add-ons. 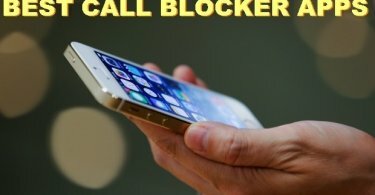 The law enforcement authorities and the cyber security cell have taken strict steps against these kinds of third-party add-ons and those boxes have gone offline and work no longer. So in this list, we have omitted those add-ons and only have mentioned about those which are working fine. Well, scroll down to check the list of best Kodi add-ons 2018. 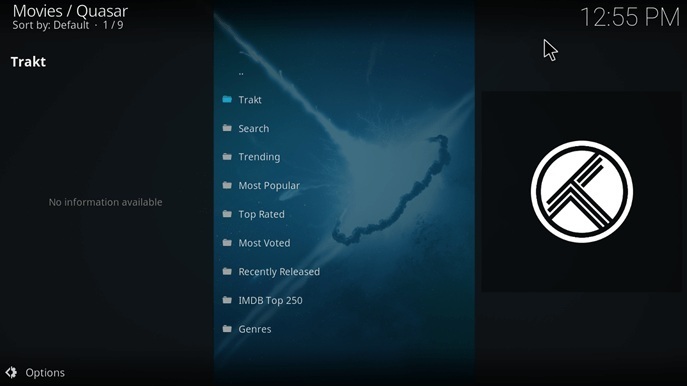 The first Kodi add-on which has made the cut into our list is Plex. It sounds a bit surprising as both Kodi and Plex offer almost similar services and both are fierce rivals as well, but Plex add-on Kodi is absolute ‘must install’ for those who love watching movies on home theater. The Plex add-on comes with a powerful server software, an attractive user-interface, and many great features. If you will add Plex on Kodi platform, you will get the flexibility of Kodi as well as slick and professional services of Plex. Another great reason to install Plex add-on is that it no longer requires a paid subscription. 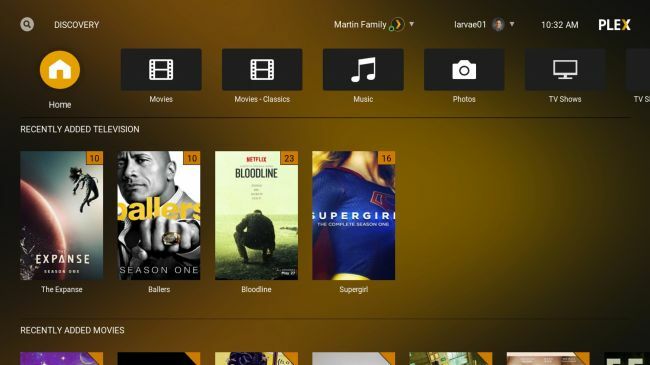 The developers have recently launched a free version of the Plex add-on for Kodi. You will find the add-on in Plex forums. 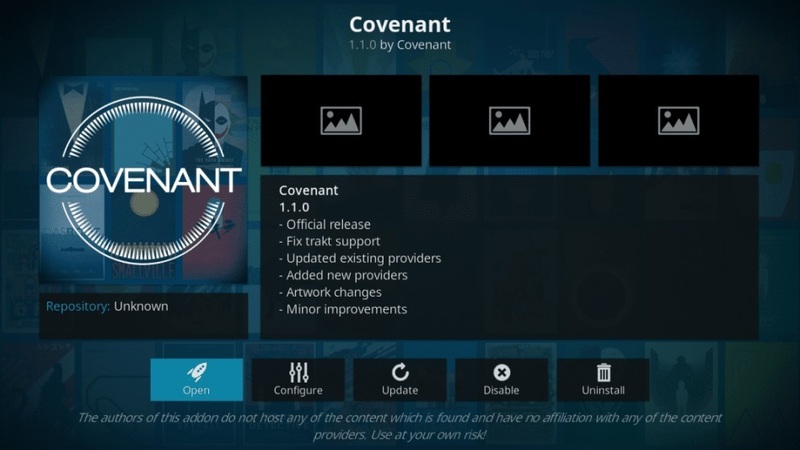 Covenant is the most popular Kodi add-on of the year 2018 and is a perfect replacement for Exodus add-on, which was also a massively popular add-on. The same developers who designed Exodus, crafted the Covenant add-on too and launched the add-on a few months ago. Covenant comes with a huge database of content. 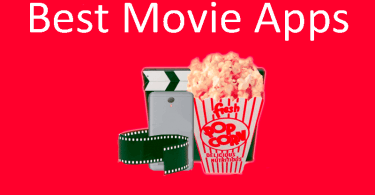 You can watch the recent and popular TV shows such as Game of Thrones, House of Cards as well can watch the popular movies like Dunkirk, Wonder Woman, and many others through this addon. The Covenant add-on for Kodi also offers the users documentaries, animated series, and even famous anime. 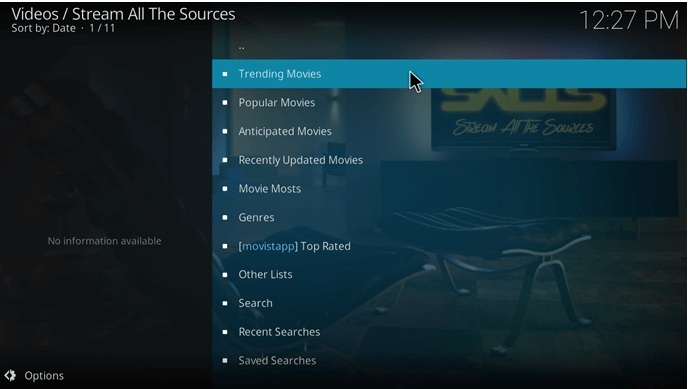 SALTS or Stream All The Sources is another popular Kodi addon especially designed for the movie lovers. Like Covenants, SALTS also features latest and popular TV shows and movies for online streaming. The developers constantly update the content library and you can watch movies like Logan, Deadpool, Inception, The Dark Knight, Kong: Skull Island and many other new releases. 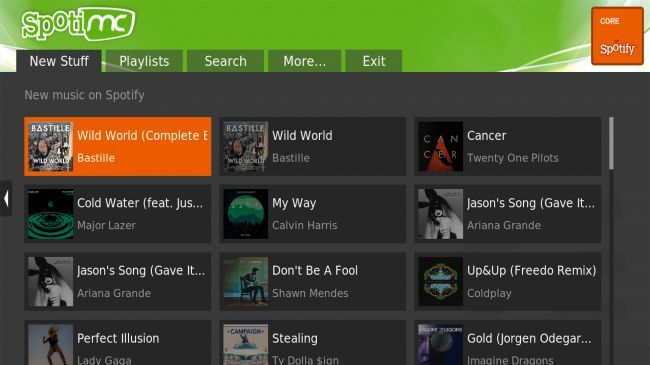 Although Spotify does not feature an official add-on for Kodi, Spotimc is the perfect third-party add-on which will enable you to access your Spotify account within the Kodi platform. It is a fact that Spotimc does not sport a slick look like the official mobile app of Spotify, but you can access the full Spotify library or the customized playlist you have made on your laptop or smartphone. The UI of Spotimc is also much simpler and uncluttered than the Spotify app, so you will not face trouble while searching for your favorite song or artist. You can use the Spotimc add-on during a party as an alternative to plugging your laptop or phone. You will find the add-on in Superrepo repository. If you want to automatically download movies or TV shows on Kodi, then you must try the CouchPotato or the SickBeard add-on. Although, in-order to use these add-ons you need to install the apps first on your PC. Apart from downloading the contents, you can also upload new movies or TV shows by yourself through these add-ons. You will find both add-ons in default Kodi repository. Reddit is one of the most popular discussion website or a community where people from all over the globe can interact with each other on various topics. The community comes with different categories on different topics and if you install the Reddit.com add-on for Kodi, you will be able to stream videos directly from the website. The Reddit add-on for Kodi is also being considered as one of the best video add-ons as millions of hosts add videos on the website every day. 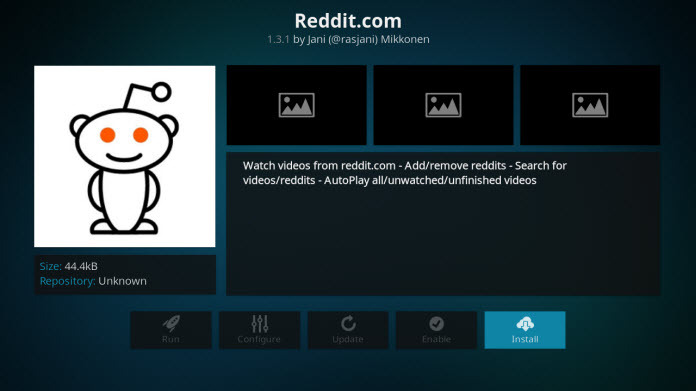 Through this Kodi addon, you can add, remove, play or search Reddit videos directly on Kodi. SHOUTcast 2 is a unique Kodi-add on which gives the users direct access to the internet radio. So if you install SHOUTcast 2 on your Kodi interface, you can listen to hundreds or probably thousands of online radio stations through the device. This add-on comes with a simple and intuitive interface and all the channels are organized as per their genres. 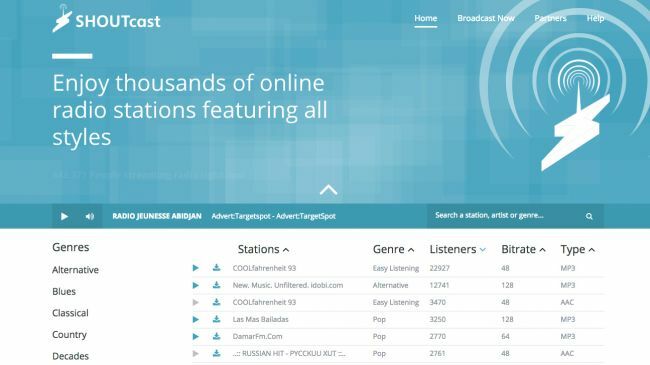 Else it would be a tough ask to search your favorite radio station among the hundreds available within the add-on. 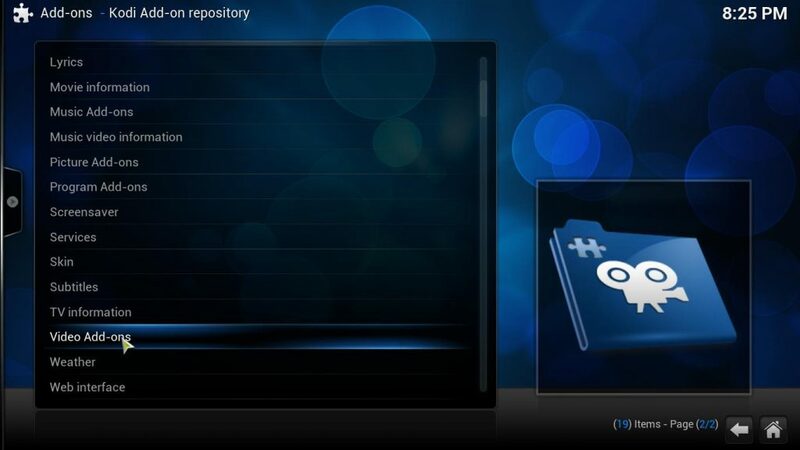 You will find the add-on in default Kodi repository. 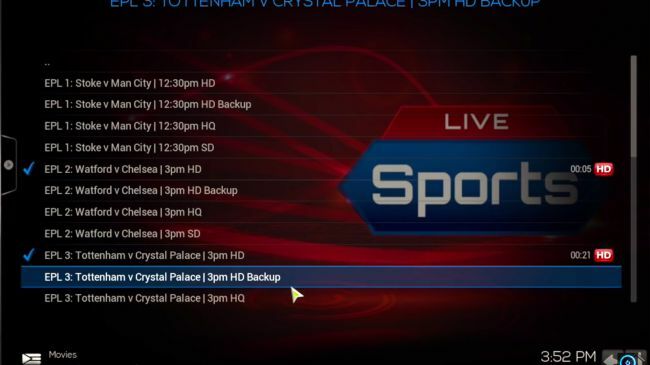 The next add-on which has been included in our best Kodi add-ons list is Sports Mania. This Kodi add-on is designed particularly for the sports lovers who love to watch matches over the internet. With a minimal subscription charge, you can get access to the hundreds of sports channels of different genres. If you install the Sports Mania on your Kodi interface, you will not have to worry about the pesky ads, loading or buffering problems. The dynamic server load management technology has made the add-on more lucrative to the sports maniacs. You can either subscribe the add-on on a yearly basis or for short-term. You will find the add-on in Sports Mania official website. Our penultimate entry in the list of top Kodi addons of 2018, Quasar is an incredible add-on which streams TV shows and movies through popular torrent websites. The Quasar add-on uses the P2P or the ‘Peer-to-Peer’ protocol to stream contents and the most interesting part is the add-on does not go directly to the torrent website to collect the content. Instead, the add-on takes the help of different providers to fetch your desired content. One of such popular provider is Quasar Burst. This multi-provider add-on brings movies and TV shows of different categories and genres to stream on Kodi. The final add-on which has been included into our Kodi addons list is Poseidon. Poseidon is relatively a new Kodi add-on but has already become popular with its jaw-dropping features and a vast database of media content. Much like Covenant and SALTS, Poseidon also streams movies and TV shows and the media library gets regularly updated. 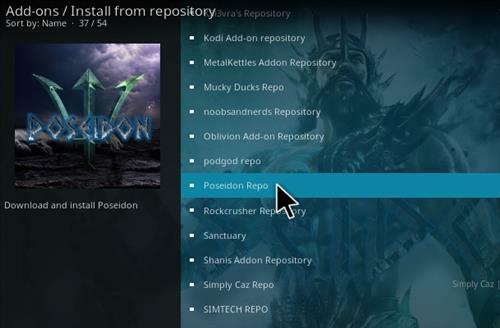 You will find the Poseidon add-on in Noobs and Nerds repository. Neptune Rising is the latest Exodus / Covenant Fork from the house of Blamo Repository. One great thing it shares with its predecessor is the same basic layout for movies and TV content. When compared to Covenant and other Forks, it can pull more links. Last updated on December 21, 2018, the new version 1.2.4 is lighter and has all the functionalities that the immediate predecessor had. You can download the Neptune Rising Kodi add-on right here. Genesis Reborn too has been updated very recently. The fork is an updated one of the Genesis add-on which is currently defunct. It is actually pretty similar to the old Genesis / Exodus plugin and has an updated code. It also has extremely streamlined movies and TV shows list which is easy to navigate. If you are using Kodi with out the add-ons, you are missing all the fun of this amazing interface. It is like using an Android smartphone or an iPhone without the applications the OS offer. There are hundreds of Kodi add-ons available in different repositories which serve various purposes, but these best Kodi addons 2018 cover almost every sector. So check the add-ons we have mentioned above, read the reviews on the internet if you want more extensive research and if you get satisfied, then install on your Kodi interface.